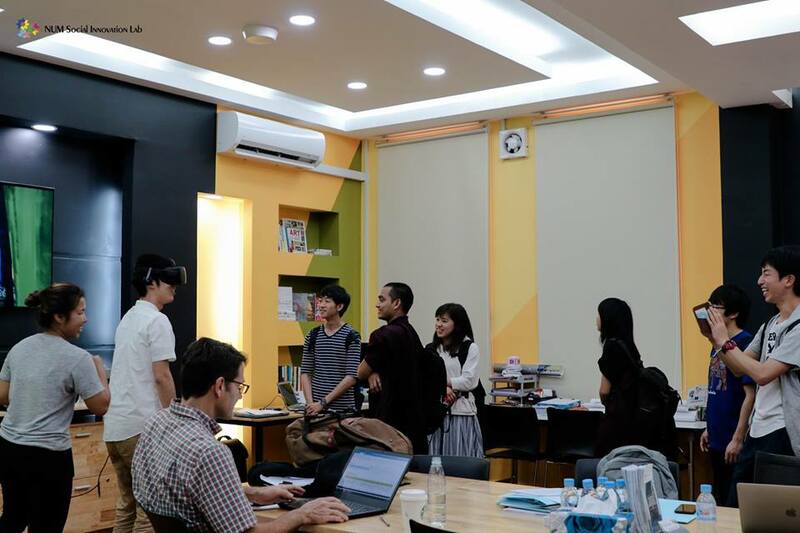 On February 28, a group of students and a faculty member from Hiroshima University had a tour at NUM Social Innovation Lab and attended a short lecture on Cambodian Economy and Investment Opportunity. 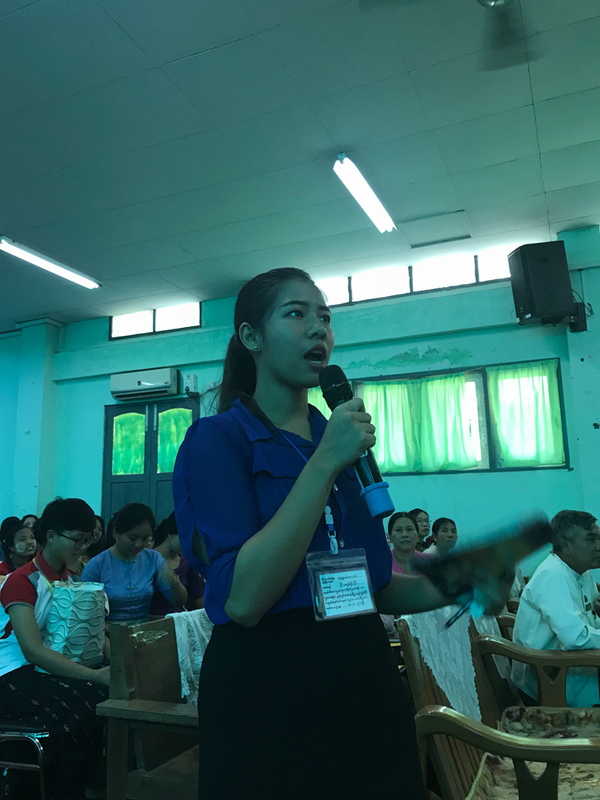 TCU SISU Team conducted the seminar on design thinking with a purpose of sharing the design thinking concepts as a problem solving tool in social innovation which is relatively new concept among our societies. 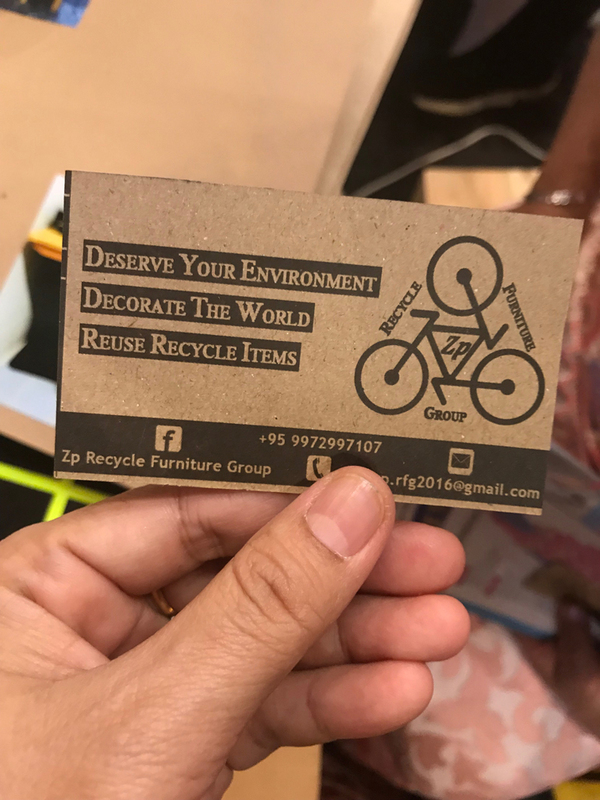 The event took place on February 14th 2019 at 10:00 am in the Uttara Hall of the University. 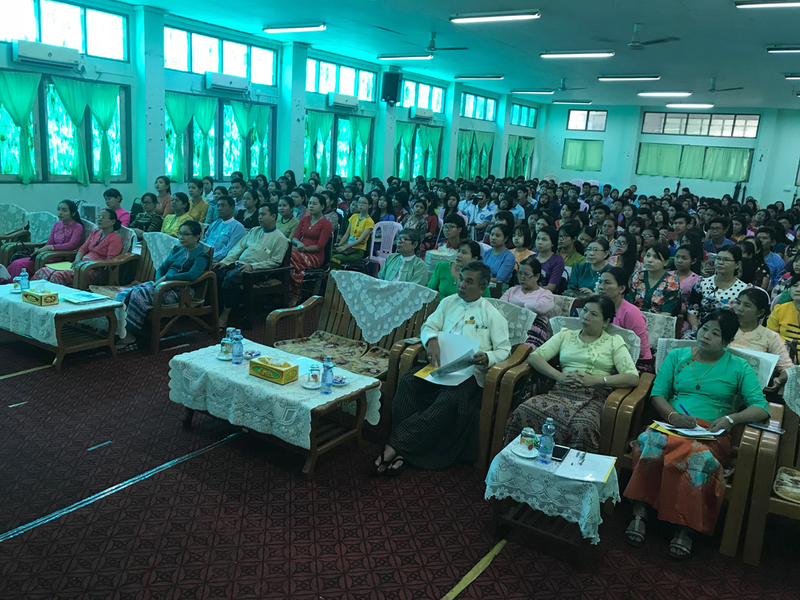 Totally 300 participants attended the seminar. 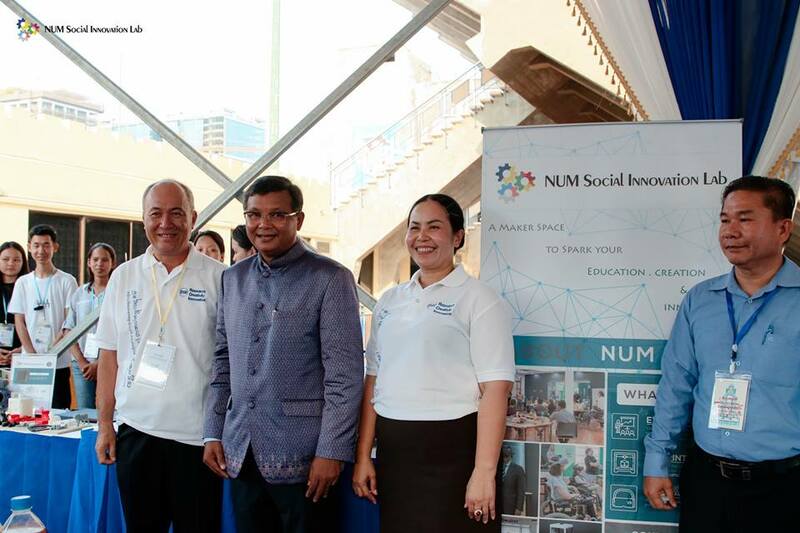 The event was an opportunity for the attendants to share their views on social innovation. 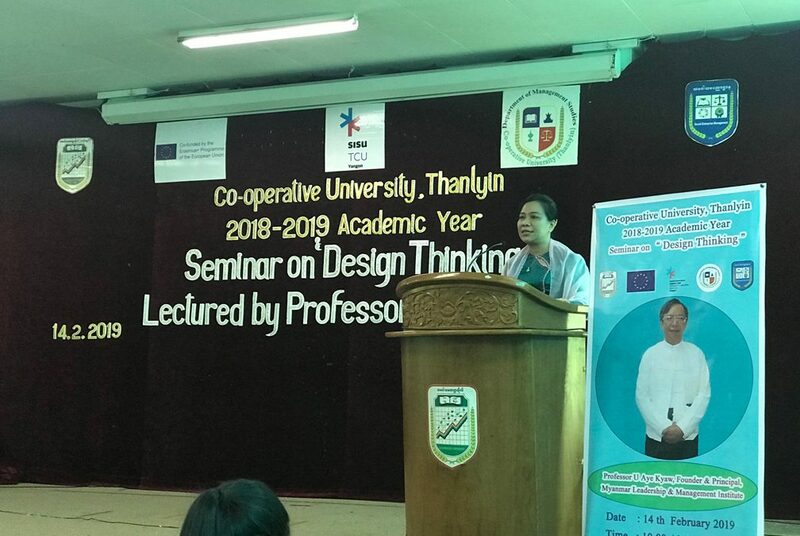 On the opening of the event, Rector Prof. Dr. Yi Yi Win (manager of the SISU team) firstly delivered welcoming speech to audiences. 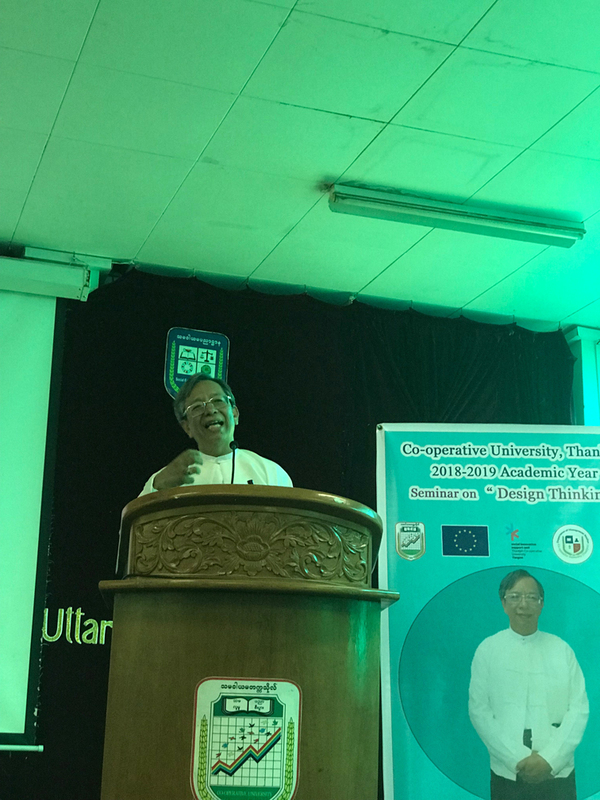 Then, Prof. U Aye Kyaw (Founder and Principal of Myanmar Leadership & Management Institute) discussed what the design thinking is, design thinking process and concepts and applications of design thinking in social problem solutions. 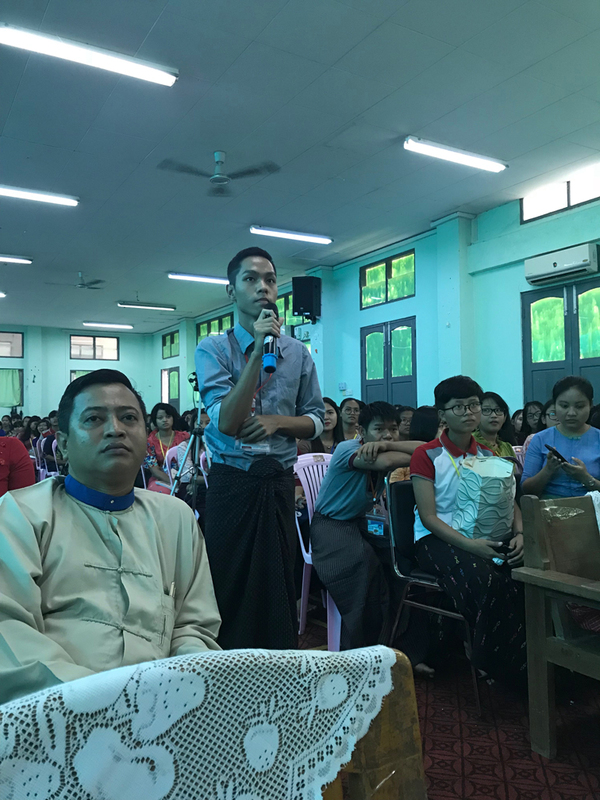 At the end of discussion, the attendants asked the questions regarding the design thinking and Prof. U Aye Kyaw explained in more details. 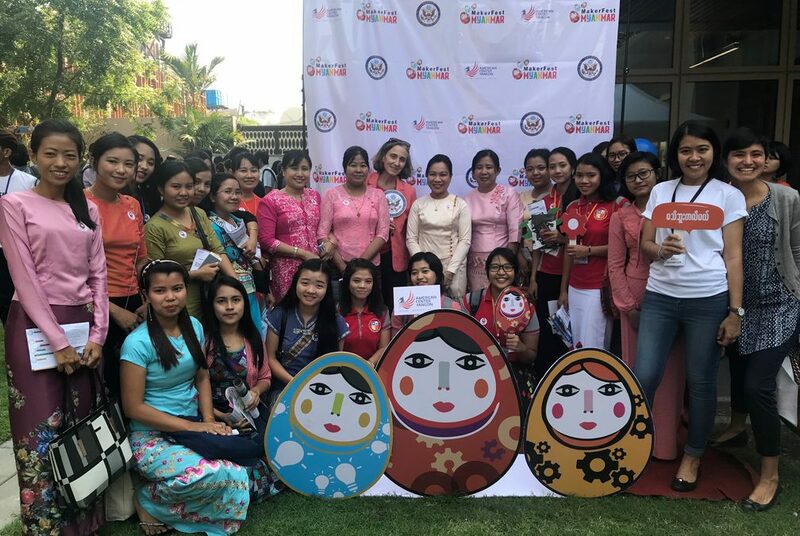 After that SISU teams took group photo together with the participants and social innovators. 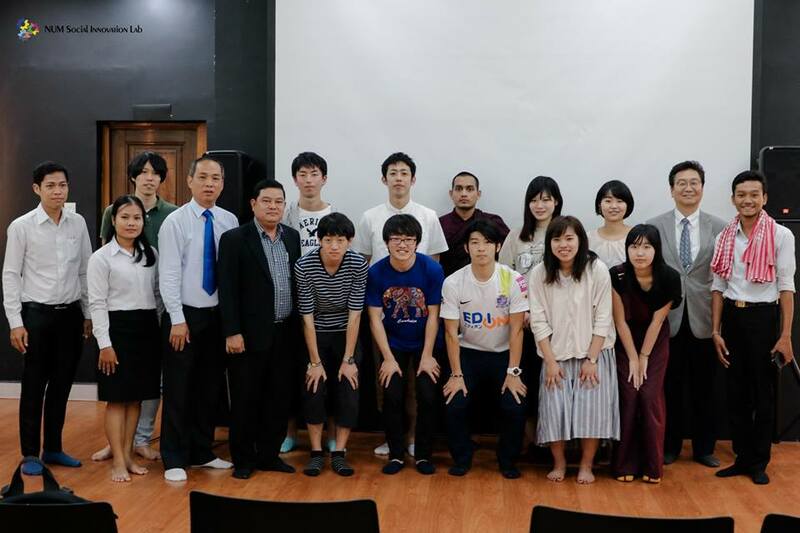 The session was ended at 1:00 pm. 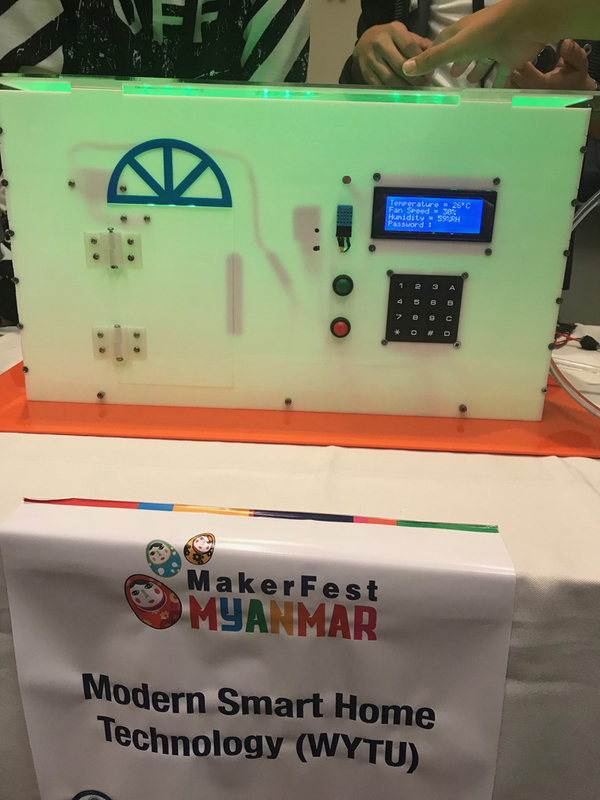 TCU SISU Team organized a short visit to explore the Maker Fest Myanmar 2019 at American Center with a purpose of encouraging the students’ creative ideas by observing the innovations of various entrepreneurs and business organization. 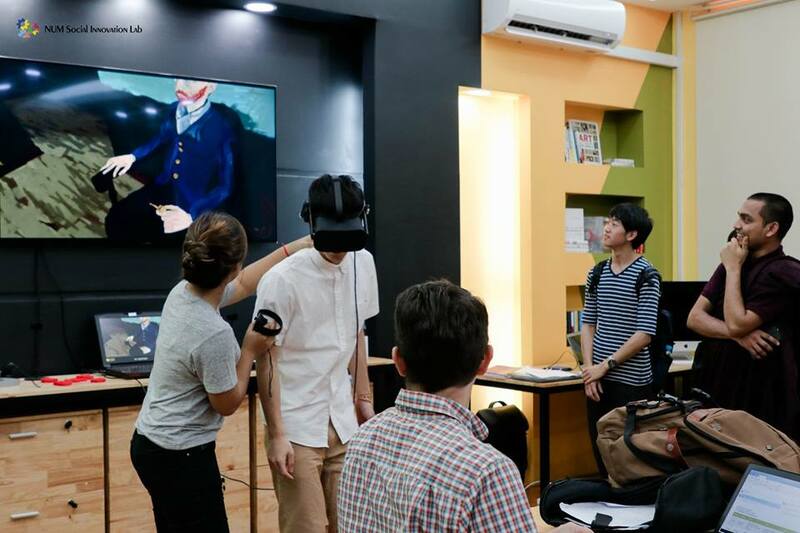 Here, the innovators use their brains, hands, and heart to make things. 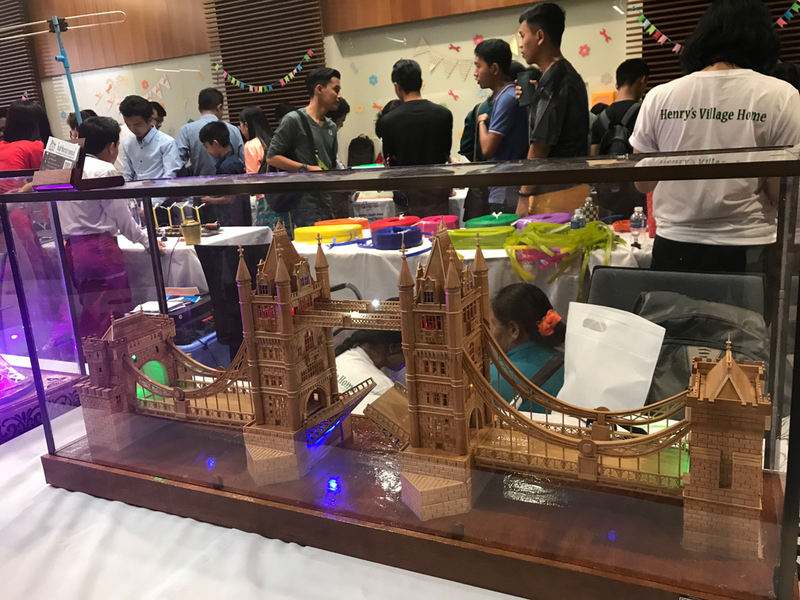 The event took place on February 16th 2019 in Yangon. 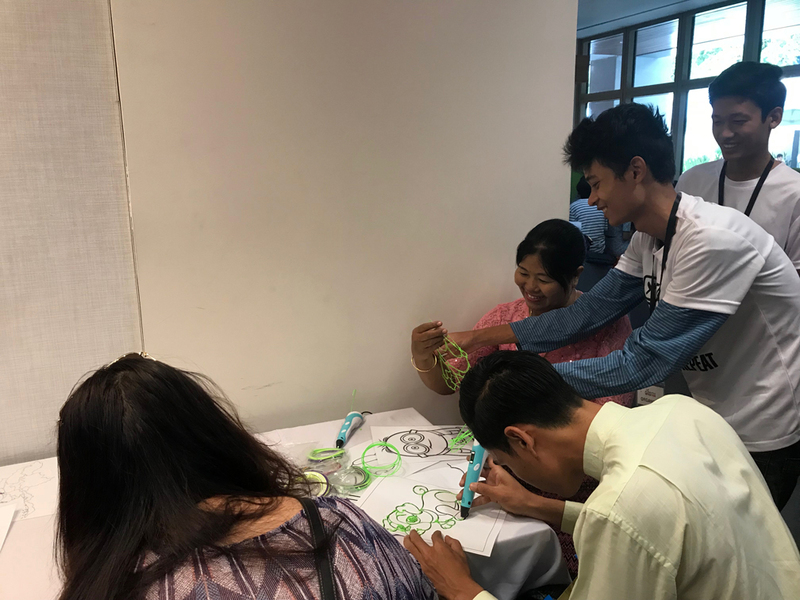 Before this trip, TCU SISU had delivered the design thinking seminar to arouse the students’ creative ideas in problem solutions. 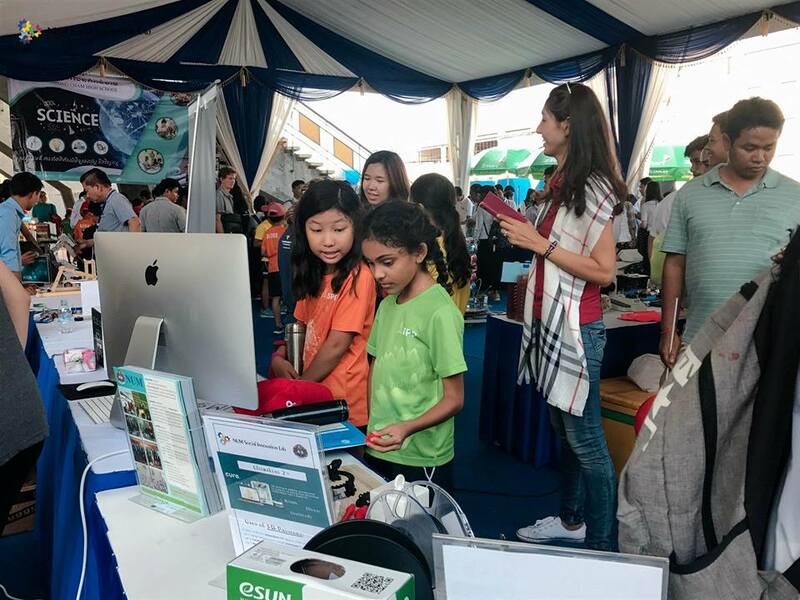 In the seminar, the students mainly focus on theory and in this short visit to Maker Fest the students had studied the innovations in practice by the entrepreneurs and organizations. 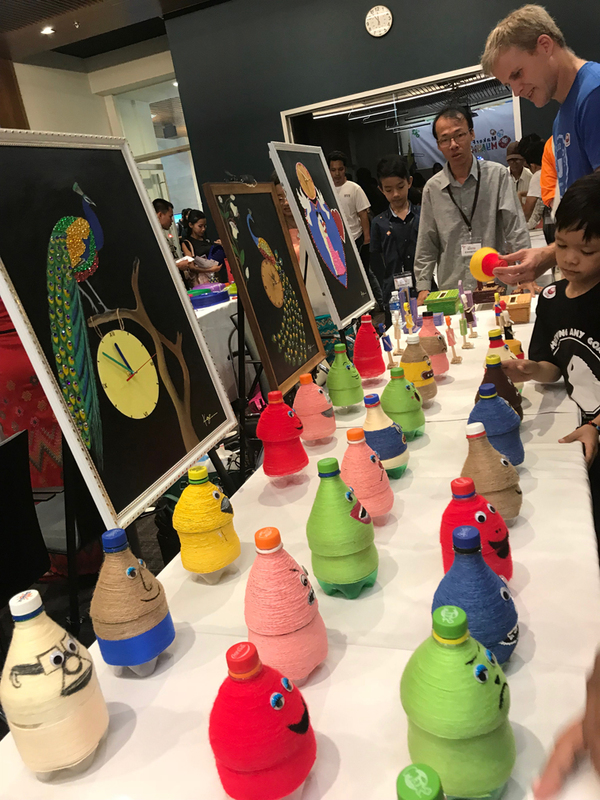 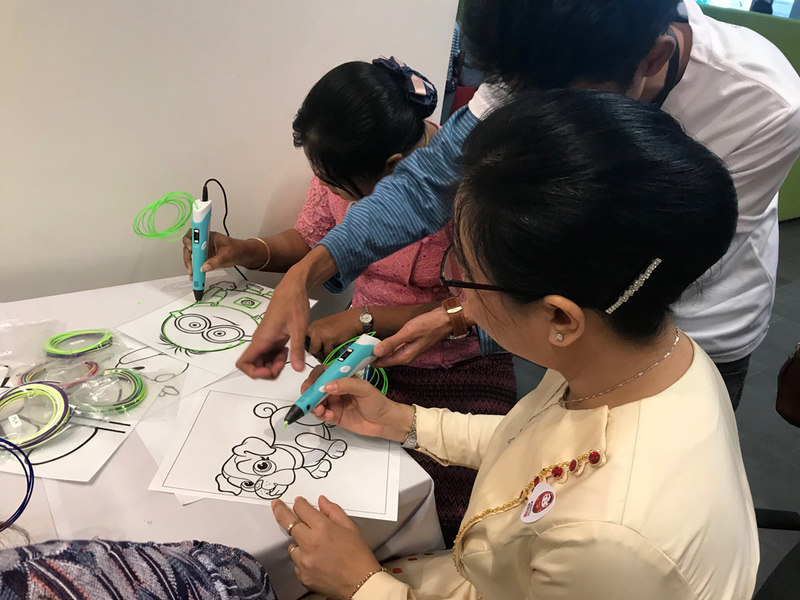 During the fest, the SISU users attended the paper craft workshop, robot workshop, robot competition, soldering workshop, Myanmar maker culture talk, 3D printing, origami workshop, 4th industrial revolution talk, bucket weaving. 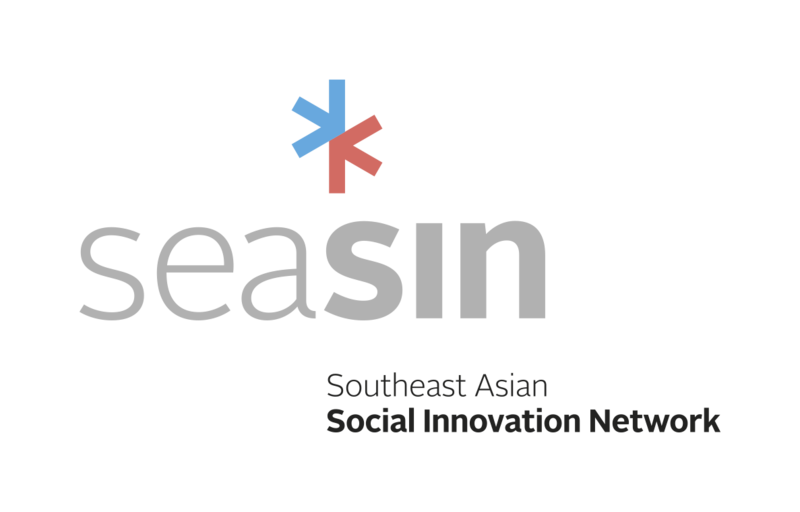 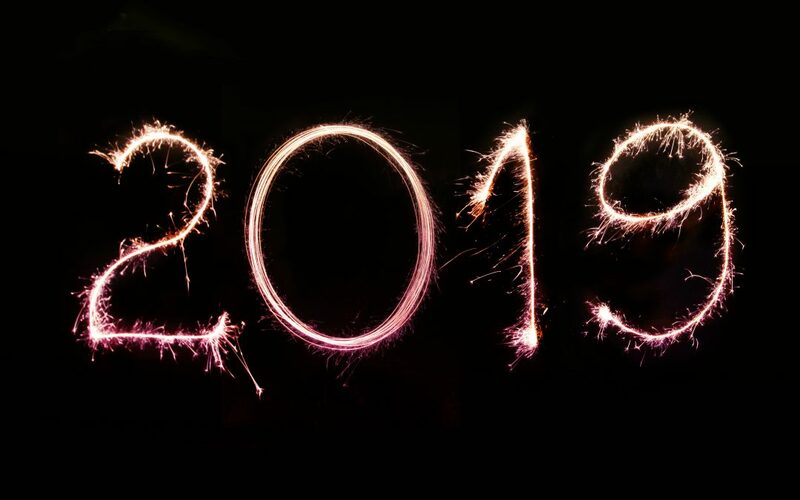 By attending this event, our TCU SISU users have gained many ideas and knowledge and they can participate in the INNO FEST@TCU SISU 2019 which would be held soon. 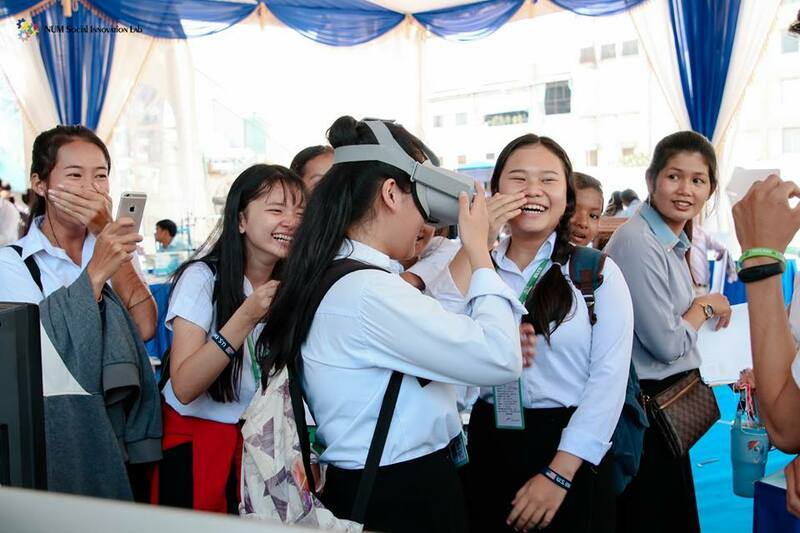 From February 21-23, NUM Social Innovation Lab participated in the Cambodia STEM 2019 Exhibition by displaying Virtual Reality and 3D Printing to high school students and other visitors during the 3 day Exhibition at Olympic Stadium.